December is officially here, which means the holiday season has arrived in New Hampshire, and snow will soon be a regular guest on the roadways and fields that surround us. What better way to wish yourself a Merry Christmas, Happy Hanukkah, Merry Kwanzaa, or Happy Ramadan, than by outfitting your favorite Jeep with industry best parts and accessories? While Santa may not be able to fit an AEV lift kit in his sleigh this year, Keene Chrysler Dodge Jeep Ram has everything you need to ensure the best possible holiday this December. While others are happily decking the halls in preparation for the fat man’s arrival down their chimneys, you can merrily modify your Jeep with the best Wrangler parts and accessories available on the market, right here at Keene CDJR. No matter what you are looking for in terms of Jeep modification, there is something for everyone at Keene CDJR. While we are a premier AEV dealer that specializes in American Expedition Vehicle lift kits and modifications, Keene CDJR offers a wide range of other incredible parts and accessories that are waiting to embrace your favorite Jeep Wrangler. From MOPAR, FOX, Alpine, ARB, Smittybilt, and more – no dealership in the northeast is more prepared to prep your Jeep for all-terrain adventure in all four seasons. Winter is officially here, so why not equip your Jeep Wrangler with a slew of fun and performance-enhanced parts and accessories to keep you on (and off) the road more precisely? There is no reason why you shouldn’t have fun this winter, even when the snow and ice hits the roadways of New Hampshire. Don’t let bad weather stop you from enjoying life, and don’t be stuck at home when you could be out exploring the incredible landscape right in your own backyard. Whether you are looking to buy a Jeep Wrangler that has already been modified to your liking, or prefer to custom build an SUV yourself with a large variety of parts and accessories, there is no better place than Keene CDJR. If you fall somewhere in between those two categories of individuals, then you might be more comfortable letting our experts install custom parts on your favorite Jeep Wrangler. Our team will work alongside you to help design a custom, fully modified Jeep to get you where you want to go with ease. From conquering rugged northeast trails, to traversing snow covered roadways with confidence, a modified Jeep Wrangler is your ticket to exploration, adventure, and freedom. Jeep lift kits are undeniably awesome. When you pass a modified Jeep on the highway, it is hard not to envy the person behind the wheel. With so much utility and capability, Wrangler owners with a lift kit are limited only by their own imaginations. If you have considered buying a Jeep Wrangler that has been lifted, or are looking into lifting your current Jeep with an AEV lift kit, what are you waiting for? Stop daydreaming about exploring those off-road trails, and start doing. You Love Adventure: The very word adventure thrills you, and fills your soul with a thirst for exploration. You are hardly content to work a 9-5 job, and if exploring the backwoods of America paid, you would quit your day job without hesitation. Instead of living vicariously through the stories of others, satiate your unending appetite for adventure with a modified Jeep from Keene CDJR. You Want to Discover New Things: While most adults sadly grow out of their childhood curiosity for discovering new things, you nurture that important part of your soul. Discovering new corners of nature, and embarking down the road less traveled appeals to you more than anything else in the world. Embrace this part of you, by upfitting your Wrangler with the best industry parts and accessories available. Discover yourself, by discovering the world of modified Jeep SUVs. You Are as Practical as You Are Adventurous: Even though the adventurous part of your soul is aching to be released, you are still a practical human being at heart. A Jeep Wrangler lifted with a certified AEV lift kit, is the best way to nurture both sides of your personality. AEV lift kits are designed to turn your Wrangler into an off-road machine, but they are also crafted to perform just as well on road, as they are off-road. While other lifted Jeeps perform decently on the trails, they offer an excruciating experience on paved roadways. Get the best of both worlds with an AEV lift kit, installed by the experts at Keene CDJR. You Don’t Like to Be Told “No:” No one likes to be told they can’t do something in life, but hearing that two-letter word irks you in a way you can’t describe. From the time you were a rambunctious two-year old, you have loathed hearing the word that implies you aren’t able to accomplish what you want out of life, and have lived every day since fighting against the notion. While your factory-made Jeep Wrangler is able to get you out on some of the northeast trails, you have been faced with off-road excursions you had to say no to, simply because your Wrangler couldn’t handle the terrain. The only thing worse than someone else telling you no, is hearing it from yourself. 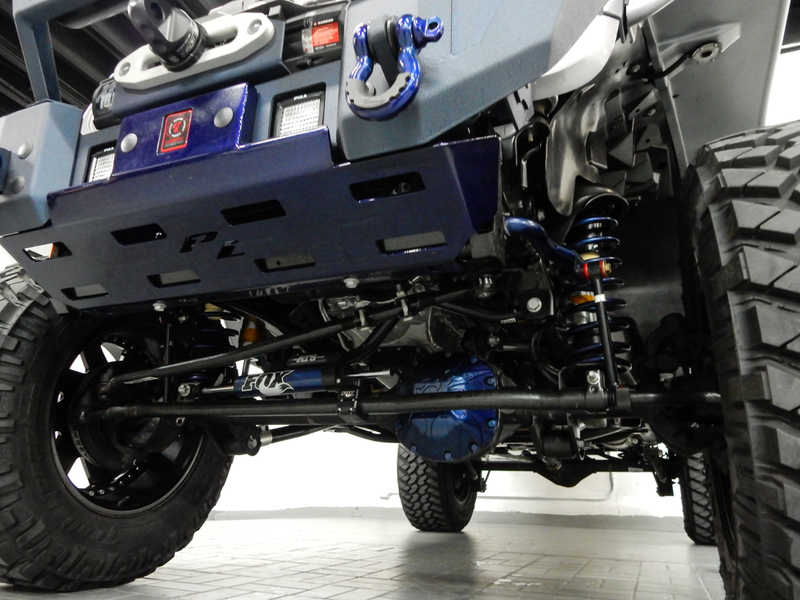 When you treat your Jeep to an AEV lift kit this holiday season, that no will quickly turn to yes! You Just Want to Look Like a Bad-A: Let’s be honest, no other vehicle on the road commands as much attention as a lifted Jeep Wrangler. While you might not be into off-roading just yet, the very thought of driving a lifted Wrangler excites you. Being the envy of other drivers on the road, and being the center of attention appeals to you more than you might like to admit. Embrace that side of you, and buy a lifted Wrangler – because, why not? 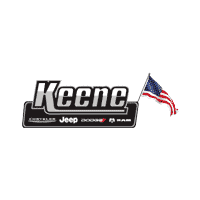 For all of your Jeep parts and accessories, including AEV lift kits, be sure to visit Keene Chrysler Dodge Jeep Ram in Keene, NH. Let the off-road experts of the northeast help you discover your full potential, with a lifted Jeep Wrangler.